Albany is not just the capital of New York, but also the very buckle of the jam belt. From Rockefeller alley to Saratoga to Utica, west to what should be but isn't the hipster town of Ithaca and of course throughout rural New England to the east, danceable jam rock and its electro, Afro, reggae, and hootenanny kinfolk prevail in the clubs and the basements. This is the birthplace of moe. and Ominous Seapods, to name two notable homegrowns. The capital region's funk mini-mob Oobleck is custom-built for this terrain. 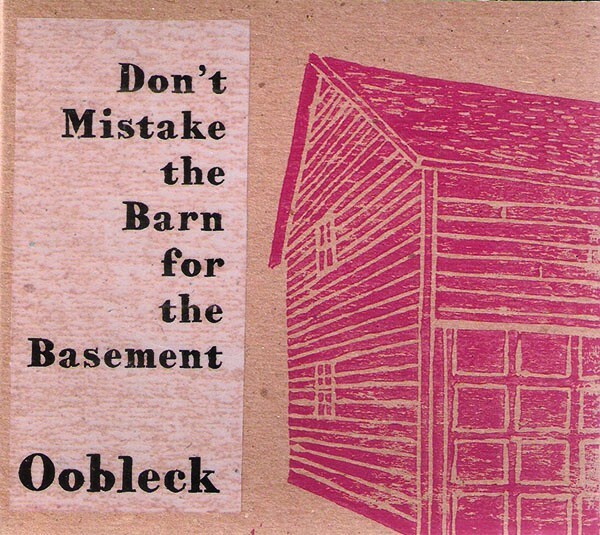 But on Don't Mistake the Barn for the Basement, the five-piece also syncs to the non-western dance collectives that play so well in Brooklyn. Oobleck is as likely to nick a groove from Fela ("Afrodite") as from James Brown. And like the groove bands of the boroughs, Oobleck indulges in post-colonial Afropop stomp-box horseplay. Live groove music always hits the studio with a lot of questions to answer. Oobleck elects the live-document route. There is no single here, nor many apparent overdubs. Only one track features proper vocals ("Just Stand There," also the most structurally eventful). Perhaps more incentive to catch a hyper live show than cause to don your headphones, Don't Mistake the Barn for the Basement is nonetheless down for all kinds of non-traditional grooves, with the biggest surprise coming in the horn punk of "Kill Your Cancer." Oobleckfunk.com.